My first trip to the German capital exceeded any expectations I’d had before visiting. 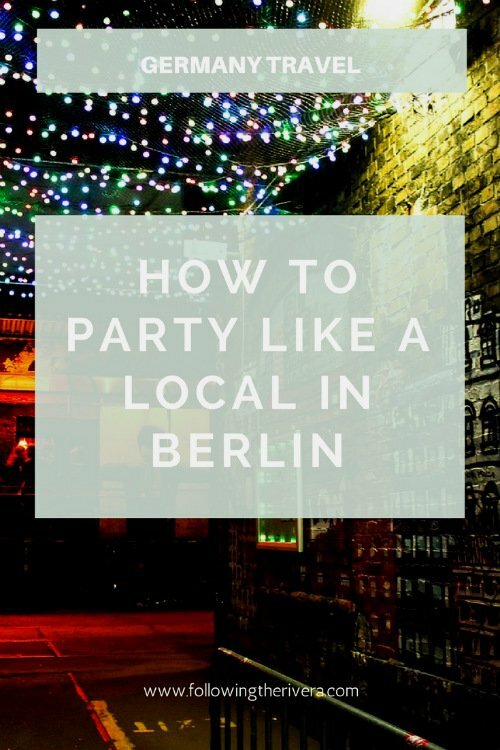 I not only explored a new city, but also learned how to party like a local in Berlin. Experiencing the energy and atmosphere of an electric city in 24 hours is something I’ll never forget. When you hear the phrase ‘the city that never sleeps’, you probably think of New York City. While it’s true the American metropolis offers an endless range of nightlife to see you through to the morning, Berlin offers something extra. It’s only when night falls that I opened my eyes to see the side of the city that never sleeps. If you want to enter the following places, I’d highly recommend befriending a local. You can try it solo, but entry’s more likely if you go with a few ‘Berliners’. I began my night out at the chic private members’ club/hotel Soho House (Torstraße 1). My friend just happens to be one of the bar managers, so you can just imagine how good my evening began! 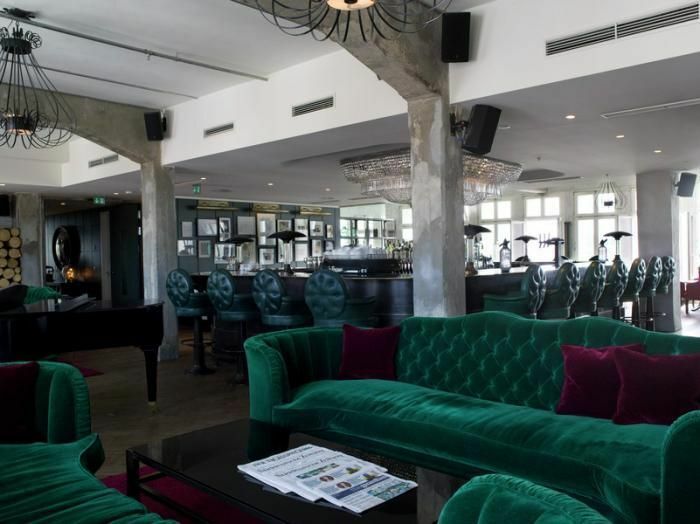 Bespoke cocktails taste even better when sitting on a velvet chaise lounge, while admiring the rooftop view overlooking Mitte. The main event however didn’t kick off until after 4am. Like many other places in Europe, Berliners start the party late, very late! Bleary-eyed and ready to raise the white flag, my friends were adamant on showing me the places that only Berliners know about. We went to the first bar only to find it was closing, but my friends weren’t worried. The only thing they were concerned about, was whether the good places were about to close. The first place we went to was Crack Bellmer (Revalerstr.99, 10247). At first glance, it looks like any regular abandoned building, just with painted murals on the brick exterior. Inside however is a different story: a DJ playing soulful beats, and its patrons just chilling out and enjoying the atmosphere. Crack Bellmer is edgy and retro and if truth be told, a little bit hipster. An upstairs attic-like area is filled with old furniture and discarded objects perfect for a car boot sale. Weirdly enough, this only added to the understated charm of the place. There’s a feeling that everyone – even non-Berliners – are welcome, and that always sits well with me. One downside for me during my visit, was that you could still smoke indoors. While this might make smokers happy, it’s bad news for us that don’t. Some places have separate smoking rooms, but the majority of places I visited didn’t. I’d wrongly assumed that Germany, like neighboring European countries, had banned smoking in public spaces. At the time of my visit, it was evident that you could smoke everywhere. I found it unpleasant, and after a long night, was fed up of my entire body, hair and clothes stinking of smoke. We were kicked out of Crack Bellmer around 5.45am, but the night/morning wasn’t over. Instead we pulled up to popular local nightclub Watergate (Falckensteinstr. 49 10997 Berlin). The club’s another nondescript looking building, but with a thumping and lively ambience inside. Watergate’s known for being notoriously selective, but girls are more likely to get in. Despite my friend’s attempts to get us in, the obnoxious lady with the clipboard (you know the one) told us outrightly ‘no’. If you do want to try your luck at getting in, arrive in a group with a balanced gender ratio, or get on the guest list. If that fails, try the following place; you won’t be disappointed. The final bar of the evening/morning was Mein Haus am See (Brunnenstraße 197-198). Wonderfully kitsch, it’s filled with raggedy old sofas and elevated seating. At past 6am in the morning, it was unsurprisingly empty, apart from a few partygoers lingering inside. Everyone seemed to be none the wiser, or cared, that daylight was just around the corner. We stayed for the next few hours, chilling on the retro sofas, re-visiting the 24-hour bar, until it eventually became a coffee place for the morning crowd. My first trip to Berlin was a brilliant and colourful eye-opener to the city. I’ll never forget the capital’s individual charm nor love for its own people, the ‘Berliners’. I awoke the next afternoon looking like something out of a Japanese horror film, but with no regrets. My night in Berlin is one experience I’ll take to my death bed, it was that good! And if that’s what a good memory is supposed to be, then I’ll be happy to rock the horror look a bit more often. Hi Ross, it was a mad but memorable night/morning. Here’s hoping that smoking indoors in banned throughout the country! Wow this seems to be the experience of a lifetime. 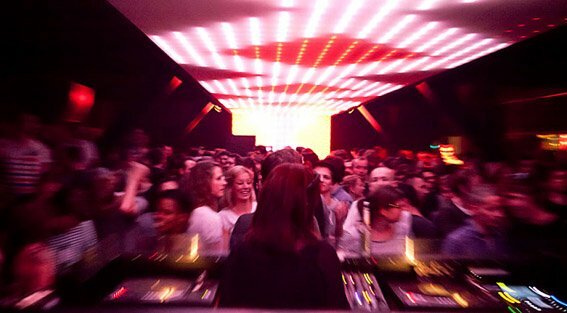 Berlin seems to THE city if you want to party all night long. Do they still have those clubs that are open until afternoon? Butchers cocktail bar sounds like a cool place to explore. I don’t know about the clubs open till the afternoon, honestly it was hard staying up till the morning! But it was so much fun, no regrets! Can I just tell you how much I love Berlin? It totally blew away my expectations as well. While I didn’t stay out quite as late as you did, it gave me a new appreciation for a city that doesn’t sleep! And I’m sure you didn’t look like a Japanese horror film when you woke up, haha! Haha, well… I certainly felt like I’d just seen one! Berlin is one of my favourite places, I’d move there in a heartbeat! Sounds like a great night! I’ve been to Berlin but had a totally different experience. I would hate the smoking too. Even though in Madrid everyone smoked outdoors, it was impossible to try and walk down the street and not be covered in smoke. I can’t imagine indoors! It did get to a point where I couldn’t take it anymore. The smoke stayed in my clothes for at least 2 days after! It was an excellent night though! Wow! Sounds like Berlin is a bit crazier than I thought! These look like really cool nightspots! It’s a crazy place alright! Seems like they are partying patriots haha never been there but i have heard good things about Berlin! Have never been to Berlin before but it’s on the cards since long. The nightlife seems rad. It’s pretty cool, and the scene is lively! I’m not much of a night owl – more like an early bird – so I’d probably miss most of these places when I visit Berlin, haha. I love how this sounds though – “an underground converted slaughterhouse with an entrance through an English telephone box” . That must be a really unique experience. It was so much fun but yes, a one-off for me. Trust me, I’m no night owl either! I had so much fun! But yes, the smoking became unbearable inside after a while. Maybe it’s changed now! That’s too bad about the smoking! Thanks for the insight into a faraway place. You’re welcome, shame it’s so faraway for you! Oh how cool, i also heard so much about the parties in Berlin. It’s cool to hear that their party scene is still alive and pumping. so cool you had a manager as a friend to show you the best! Oh, it was so much fun, especially at Soho House! 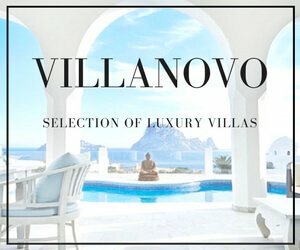 I’d encourage everyone to visit! I knew Berlin had some great nightlife, but 4 am?! Between that and the smoking I don’t think I could hang. These bars sound so fun though, especially Soho House. Oh it’s so much fun! Trust me, I’m no night owl, but this one night (and day) was so worth it! I have heard a lot about Berlin crazy nights, I would love to visit one of these parties some day. I need to make a friend in Berlin just to be safe from all the trouble 😀 Smoking is the worst thing ever and would be great if it gets banned in doors all around. It was pretty wild but a lot of fun! The smoking did become a pain, but it was worth it the one day and night! Berlin sounds like a fun night out, I can’t believe you made it all night until 6 am the next morning! I’m a little old for that now and fall asleep after a few beers. It must be much easier going out with a local who knows where to take you. The smoking law needs updating, that’s not healthy! Yes, the smoking really got to me too! But for a day and night, it was bearable! Berlin is super cool, and I encourage everyone to visit! Sounds like a fun place to go out! Such a bummer about the smoking. I too didn’t realize they hadn’t banned indoor smoking there. Even a smoking room isn’t very helpful. It’s like having a non-peeing end of the pool…the carcinogens are still going to get you. Sounds like a nice place to party. I love Soho place the most! 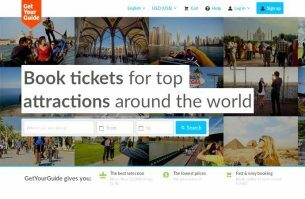 It would be nice to check it out! I love Soho House! I’ve been to Berlin, London and Chicago and always have a good time. Oh wow, it sounds like you found yourself quite the party city! Lots of people, cigarette smoke and parties that don’t start until 4am are not really my scene. I think I’ll stick to daytime sightseeing and coffee shop hopping and leave the partying to the younger generation! I’m glad you had a great time! Trust me, it’s not my usual scene. That said, I had an excellent time and will never forget it. It is interesting to know that Berlin cares more about its citizens than the travelers. I m completely in agreement with the statement, a city that takes cares of its own is a city that is mostly loved by everyone. I have seen many places where they care about the outsiders more. In India [thats where I am from], many cities have changed its lifestyle and culture to suit others and in the meantime has lost the essence of which people visited them. Oh finally! Someone know where to have fun! I came across hundreds of posts about Berlin and no one tells about Berlin’s party spirit. Makes me wanna go there again. Cool! So glad you enjoyed it. I had an awesome time there, it was nuts! You’d love Berlin! There were random pieces of furniture, and anything they could find it seemed! I had an incredible time, but yes, the smoking really got to me in the end. Next time I am in Berlin, will be sure to check out al these places, kind of reminds me of a pub crawl I did a while back. looks like a great time!! Yes, it was a lot of fun! You should really check it out. Sounds like you had a fun night although the smoking would annoy me too. I have heard that Berlin is a great party city but I had no idea everything was so open late at night. I could have easily stayed a few more nights having cocktails and dinner at Soho House Berlin! During summer, they have a nice rooftop, and the vibe’s so chilled too. Hopefully, there will be no more smoking either!